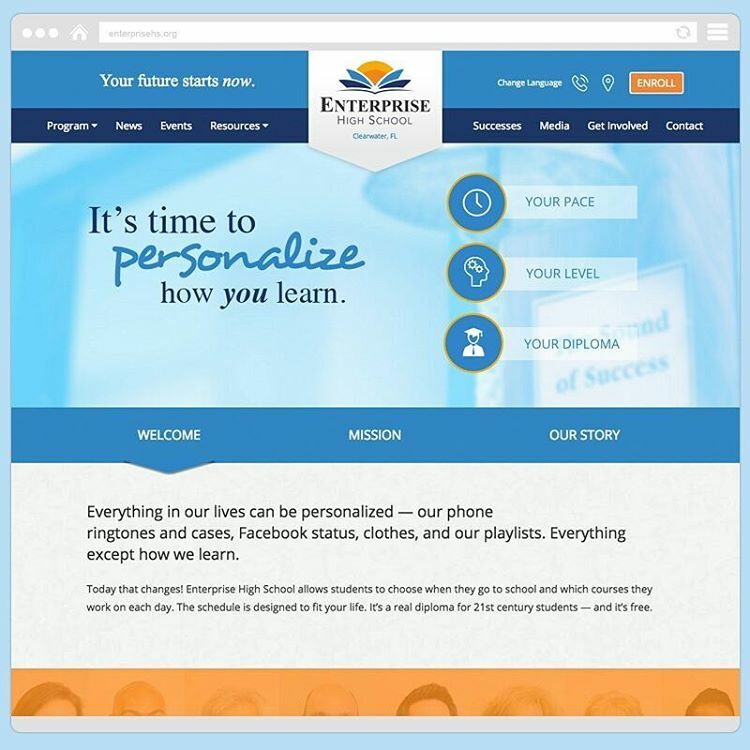 We recently completed a full rebrand and website design project for Enterprise High School, a charter school located in Clearwater, Florida. 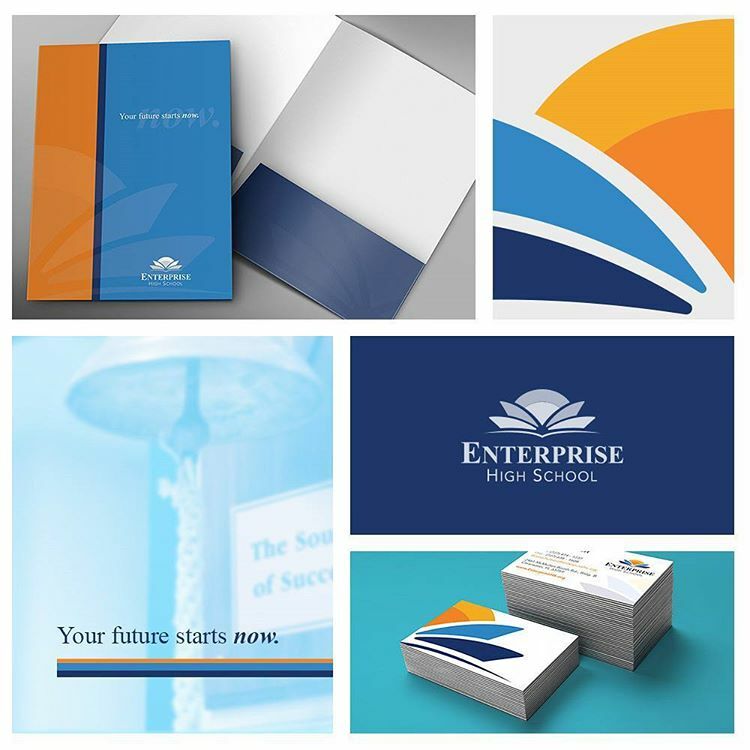 Under new management, Enterprise High School asked us to develop a new brand identity to represent the school and the goals for their students. We created a logo design that incorporates the rising sun and the waves of the Clearwater area, combined with the shape of open book pages. This new brand identity represents new beginnings, growth and success, achieved through consistent and customized learning. The new EnterpriseHS.org website expands upon this messaging, and is now an important resource for current students and parents/guardians. Prospective students are given a clear vision of everything that Enterprise High School can offer them, from individualized learning, to flexible attendance hours. 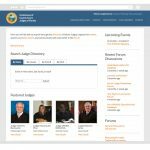 Built on a customized WordPress framework, we designed and developed several tools to allow our client to edit each page quickly and easily through the website admin backend. The new website features student success stories, a faculty and admin staff page, photo galleries, news and events, resources, and much more. As part of the full rebrand, we also designed a tri-fold brochure, stationery print pieces, email signatures, a postcard and a pocket folder.